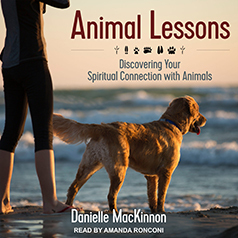 Develop a deeper, more positive relationship with the animals in your life and become a better person using Animal Lessons. All around you, animals are acting as therapists, trainers, mentors, and gurus—if you pay attention. Develop a deeper, more positive relationship with the animals in your life and become a better person using Animal Lessons. All around you, animals are acting as therapists, trainers, mentors, and gurus—if you pay attention. They want to guide you toward the next step in your personal evolution, and this first-of-its-kind book shows you how to understand and benefit from them.